Officials of the Hungarian government appear to be in the habit of misrepresenting statements made by foreign partners or entities during visits and discussions. Earlier this month, the American Jewish Committee (AJC) was forced to clarify its position on antisemitism in Hungary, after the organization’s views were misrepresented by the Hungarian Minister of State for Foreign Affairs. And last year, the co-founder of the Canada Romani Alliance had to do much the same, after her remarks were distorted in a Hungarian government press release. 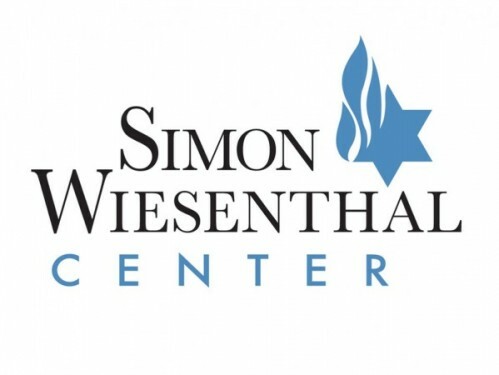 Now it is the Simon Wiesenthal Center which was forced to issue the statement below, due to a fabrication in the Hungarian pro-government press. 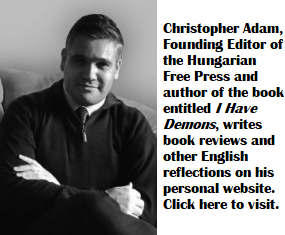 Orban regime’s integrity = gypsy horse trader. Why the racist slur ? Do you think two wrongs make a right ? How ’bout telling us a Jewish joke and making it a hat trick ? It’s a saying, admitedly not 100% PC. I have my flaws, we’ll have to live with that. Stevan Harnad is 100% right. I wish he were only 90% so… I watched the Clinton-Trump debate and came to the realization that placing these two candidates in a contest with set rules will never work. Trump will do whatever he pleases (interruptions, grimaces, lies, etc.) and, because not only his opponent but also the umpire play by the rules, he will always win. Orban comes from the same school. And the media continues providing them with the soapbox they need and enjoy. Would an intelligent moderator or reporter finally pull the plug to silence their lies and their hate-fomenting messages? Professor Göllner is right. Shame on @observer — but it shows how deeply embedded bigoted idioms become in the language and the psyche. @observer is not usually like that. Your “petty quips must be outed, named and shamed” IS PC, quite so. This “cleansed” world is a sterile, constrained delusion, just as the communist time language/narative was, just as the Puritan or Catholic correctness before. We can argue about the shade of gray, but gray it is, never black or white. Extremism is always counterproductive beyond the short term, eg Tea Party and Trump, FN and AFD and FPO in Europe are reactions to PC in social migration policies (as well as economic one). The unrestrained PC advocates are hurting the very cause they claim to uphold. Here in Bucharest we will have a mega mosque built with Turkish money and a Holocaust Museum, with Romanian money this time. I think Romania is a model multiculty country now. Too bad that she is still regarded in the West as a … by both common people and the political elite. On the other hand Hungarians of Transylvania still don’t have a state university of their own, let alone autonomy for Szekely Land. So Romanians seem to be nice with everyone but the Hungarians. When I see antisemitism of the Hungarian people I see it as foolish antisemitism, they don’t even know why they hate and insult the Jews. When of the government policy and actions I see more business and manipulation behind it than genuine antisemitism, i.e. they would make an about face any time when their interests require that. What are they heading for? They can easily get somewhere they have never been before. But, they are passing the ball around and soon or later they start to play hard balls. Who’s gonna be the winner? What’s the prize? Who’s got more to lose? Also, the present refugee crises gives a big momentum to hatred and to the extreme right wing and this wave of hatred, when it gets full blown, will sweep away more people than the Muslims, the Jews, the Gypsies but many other ethnic or religious group will suffer. Or just as usually they leave the object of their hatred alone if they are strong enough and turn their hatred and hostility against the weaker defenseless groups.